This is paper foil, Made in Germany. 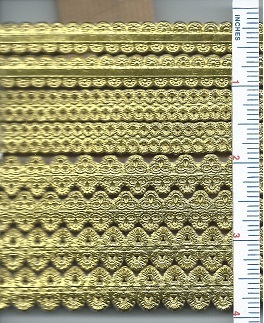 4 different patterns of 4 rows each and 10" long, These paper foils are no longer available. Some are in short supply. 1 sheet only.